Penelope and Dad talk about whatever is on Penelope’s mind. Penelope went to Art Camp for a week. Penelope said this is a baby pickle. Penelope made this with oil pastels. 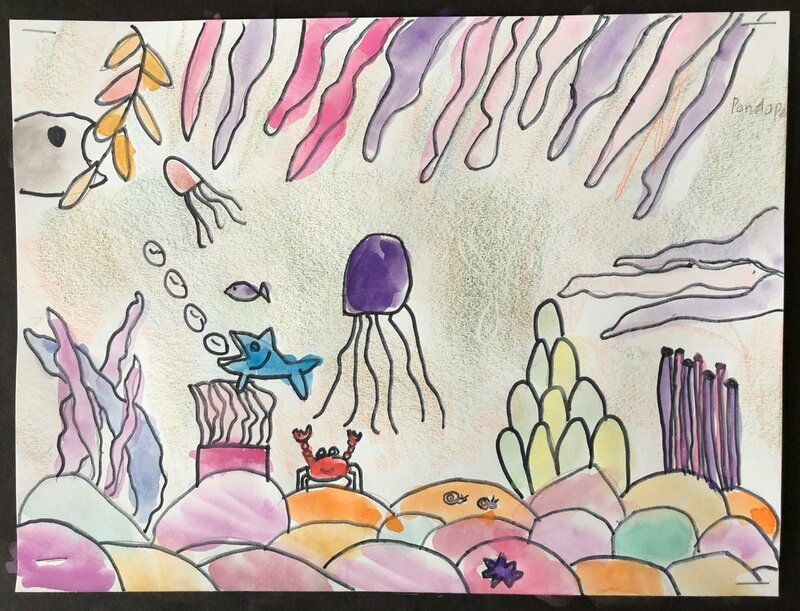 A mixed media underwater scene from Penelope. Dad made this at one of those drink and paint workshops.